Once-shunned, the caucus’ [support] is now highly sought-after by candidates aiming to win over left-wing voters, known for reliably showing up at the polls. The Caucus’ backing carries particular weight in municipal elections, which have often proven a more progressive electorate than Harris County or (obviously) the deep red state of Texas. A fact made all the more important this year, as candidates on both sides will vie for attention against the Goliath of the 2015– the Houston Equal Rights Ordinance. To be sure, candidate positions for and against HERO were vetted to the utmost extent during this endorsement cycle. For candidates like impressive newcomer Philippe Nassif, the influential recognition provides visibility and greatly increases his chances of a position in the run-off with Jack Christie, incumbent Council Member of At-Large position 5. Some voters may recall that Christie, who was once himself endorsed by The Caucus after saying that he supported a comprehensive non-discrimination ordinance, went on to vote against HERO in 2014 and in 2015. Meanwhile Nassif has been a constant ally in the fight for equality, and leaves little doubt for voters where he would stand if elected to represent all Houstonians. It will be quite interesting to see how these candidates fair on November 3rd. 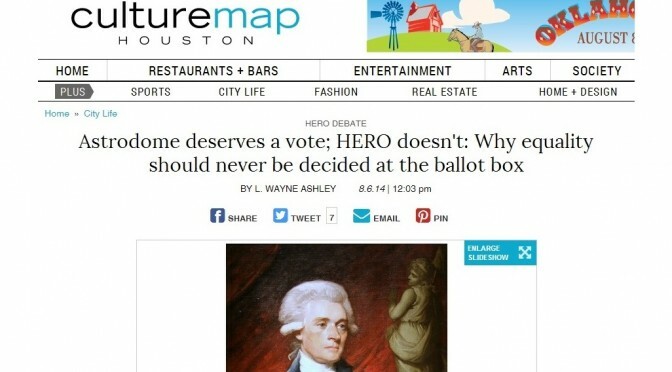 For the sake of HERO and progress for all Houstonians, let’s hope they do quite well. Stay tuned for more candidate information via the TLCQ in the coming weeks. Texas Leftist Published in Houston CultureMap! One must admit that “Let the people vote” is a nice-sounding argument. Voting, at least in contemporary democracy, is the way we choose our representatives in government, and it is often the way we choose how to allocate public money for certain uses. In recent years Houstonians have weighed in on the fate of the Astrodome, the usefulness of red light cameras, funds to rebuild city infrastructure and whole host of other topics. These are issues that deserve a vote. For more, head on over to CultureMap. Be share to comment on the article and share with your friends! Thank you for your recent email about the proposed equal rights ordinance. While most Houstonians and I agree that discrimination of any kind is wrong, this proposed ordinance does nothing more than duplicate existing laws, add bureaucracy, and highlight the city’s endless overstepping of their jurisdiction. The real question is not whether or not someone should be discriminated against. The real question is: What is the proper role of municipal government? Cities are created to provide basic services such as water, sewer, fire and police protection, and infrastructure. Cities are not created to govern comprehensive issues like discrimination. We have different levels of government for a reason, and it is imperative that each level does not exceed their jurisdiction. If passed, this ordinance would create a new bureaucracy for the city to address discrimination complaints. Houston would have to expand government to handle the same issues already funded for and overseen by the state and federal government. It is incomprehensible to me how the city can waste our time and your tax dollars to duplicate these services. There are still pot holes, road repairs, and additional police and fire needs to which your city tax dollars should be allocated. Cities should stick to what they were created to do. I was elected to represent my district on city matters, and I will not stand for the city overstepping their authority. 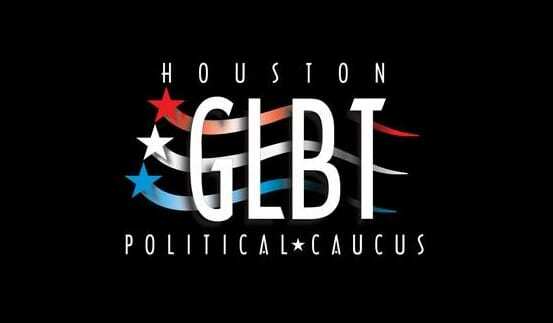 The Log Cabin Republicans was shocked and saddened to hear about Council Member Stardig’s statement of opposition to the proposed Equal Rights Ordinance. The ordinance, which would prohibit discrimination on the basis of sexual orientation and gender identity, is a fair minded and solid proposal. Council Member Stardig’s recent statement of opposition is based on the falsehood that these protections already exist in federal law. 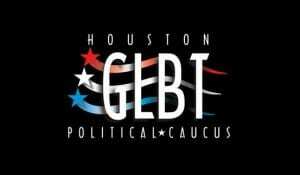 As it stands any Houstonian can be fired for no other reason than being gay, lesbian, bisexual, or transgender. It saddens us that despite receiving our endorsement, hearing the stories of those who have faced discrimination, and telling us that she did not believe in discrimination, Council Member Stardig has stood up for the right to discriminate. We call on Council Member Stardig to reconsider her opposition which stands on the wrong side of history and equality. Stardig’s decision may seem sensible in the short-term, but it’s a foregone conclusion that equality is supported by young adults across the political spectrum. From ultra Liberal to staunch Conservative, they believe in the rights of anyone to be protected from discrimination, and have the same opportunities as anyone else. As more Millennials become regular members of the voting citizenry, politicians should consider carefully how they treat these issues. 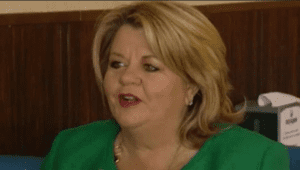 This will be a campaign issue for Brenda Stardig. For more on this and other NDO developments, check out coverage from Texpatriate and Off the Kuff. Libby Shaw at Texas Kaos is horrified by the Texas Republican campaign strategies that vilify women and immigrants. Boats N’ Hoes, Snake Oil Dealers and Diseases from Mexico. Horwitz at Texpatriate discusses the implication of Uber, the infamous ridesharing app, openly breaks the law in Houston. WCNews at Eye on Williamson reminds us that Democrats in Texas can’t keep fighting one election at a time and go home in between. This week’s Poll Was A Bummer, Now Get To Work! On the horns of a pair of dilemmas — one being a progressive in Texas, the other associated with the president and the attorney general’s playing of the race card — PDiddie at Brains and Eggs finds himself a little uncomfortable. CouldBeTrue of South Texas Chisme wants to know why gun pushers are so pushy. Only the gun manufacturers win. And, that’s the point. Ted Cruz is pushing the NRA propaganda. Neil at All People Have Value made some posts from London this past week. All People Have Value is part of NeilAquino.com. BOR pens an ode, in word and Twitpic, to the massive and successful Wendy Davis/BGTX door-knocking campaign last weekend. Lone Star Q celebrates the four Texans on the Out Magazine Power 50 list. The Texas Green Report celebrates the latest win in court by the EPA over industrial polluters and the Attorneys General that abet them. The Texican reminds us that live animals do not make good gifts. RH Reality Check reports that the state lawsuit against the prohibition of funds for the Women’s Health Program going to Planned Parenthood was allowed to proceed by the Third Court of Appeals. Bob Dunn updates his site’s legal disclaimer. Not sure what is going on, but my Blogger account has been out of whack this week. I hope to have things up and running soon. (sad face). Even Ronald Reagan believed in having a fair tax system that didn’t exempt the Rich. How is this any different from what President Obama has been saying since day one? ?